Application of skills is essential to our sailors' development. While practices are not mandatory, we encourage our members to attend as many practices as possible to develop skills necessary to compete at the collegiate sailing level. Practice attendance is taken into account during regatta selection, among other things. 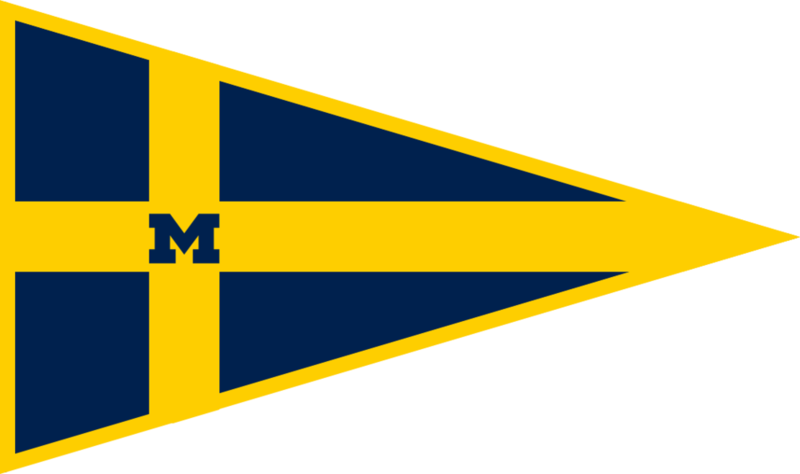 Students looking to join the team are allowed to attend two practices to see if the Michigan Sailing Team is a good fit for them before they are required to pay dues. Below is a break down of the Michigan Sailing Team practices. We practice three times a week; Tuesdays, Thursdays, and Fridays from 3PM - 7PM. Sailors are expected to attend at least two practices a week, but we work with them to accomodate their academic commitments. Practices begin the first week of school in the fall and continues until the ice forms in late November. Spring season begins once the ice melts, and it continues until Nationals in May. We suggest that our sailors block practice times out of their schedules, as application of skills and knowledge allow for more efficient development. Our coaches, Max and Nathan, run drills for our team in addition to leading pre-practice and post-practice debriefs. On Thursdays, Max and Nathan facilitate a 'Race Day', where our sailors test their skills against one another. Our practices take place on Baseline Lake, located about 30 minutes northwest of Ann Arbor, Michigan. We set up carpools for our team members to get to and from practices, and we rely on our older team members for rides. The pick-up location for practice is in the cul-de-sac behind South Quad. Additional pick-up locations include behind the CCRB on The Hill and in the Bursley Circle on North Campus, but these are not guaranteed. Locations are determined by the availability of our drivers and their preferences. The team coordinates a training trip over Spring Break. This incredibly fun trip consists of five full days of sailing and team bonding in the evenings. Training has previously taken place at the Eckerd College in St. Petersburg, Florida. Read more about our Spring Break Training here. We carpool to practice, see above for more information.